6845 place | Vector illustration in rank M-rank: Light BLUE vector texture with colored lines. Decorative shining illustration with lines on abstract template. Template for your beautiful backgrounds. 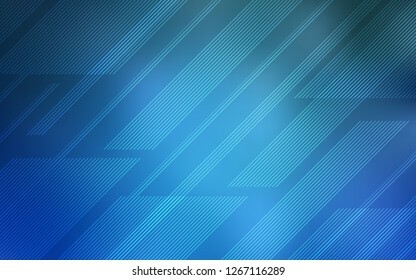 Light BLUE vector texture with colored lines. Decorative shining illustration with lines on abstract template. Template for your beautiful backgrounds.